I’ve been MIA around here for about a week and a half. It’s been a crazy 11 days! The 15th – when I should’ve written something again – was my 21st wedding anniversary. I know what you’re thinking. You’ve glanced over to the side, seen my photo and thought, “How did she get married at 10 years old?” You’re too kind, really! I can’t say we celebrated because you’ll also notice a cute little guy in that same photo. We’ve lived in our current location for just over a year now and have yet to find a babysitter. We also have no family within 6 hours of us. We really only get to go out when we are visiting our family at home – or on vacation with the fam. That’s the plan for next week. We’ll celebrate one night while we’re at the beach. That’s better than the suburbs anyway. Look how hard I'm oncentrating on taking the picture. After the anniversary we had 5 members of my family come to visit for 4 ½ days. We had such a great time. 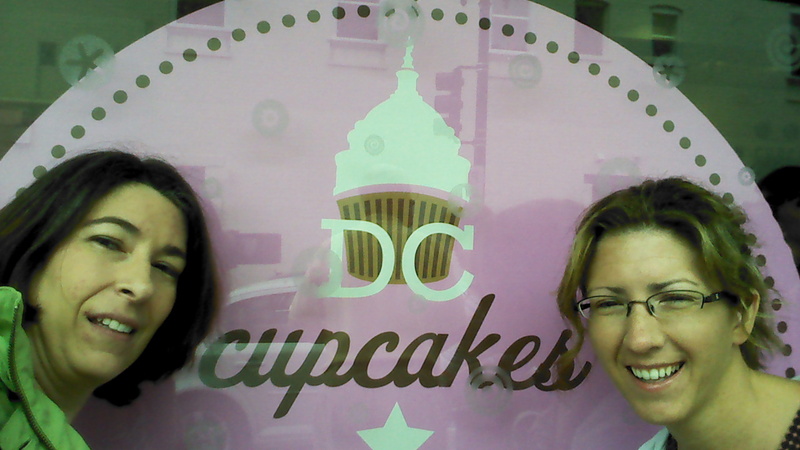 My sister and I, who you know from Thursdays, went into Georgetown for the day. It was fun, girly, and totally exhausting! We then took our kids to a local farm and a splash pad at a local shopping area for Day 2. The next day had us cavorting at a waterpark. They all left the next morning after a breakfast at IHOP. They hit the road and we went to the second swim lesson of the week. Did I mention that I was getting sick this whole time with a crazy, hacking cough? At this point, I’d missed two of my pre-beach, look good in a swimsuit Strike! workouts. Friday morning is my Zumba time, so off we went. Zumba was really fun on medication and after a slacker week fitness-wise. There wasn’t even “Five Minutes” for me to write. Then we were back to a weekend and enjoying time together in the beautiful weather. At this point, I’m tethered to a box of tissues and my bag of trusty Ricolas. So that brings me to today. It’s 10:30 on Monday night and here I am writing. So where does the “Doc” fit into all of this rambling? I saw him this morning and the dear man gave me a prescription for an antibiotic to kick this sinus infection to the curb so I can go MIA again in a week while I’m playing at the beach. During all of this, I have been able to continue my study of the book of James. I will finish it before we leave town. One of the biggest things I’ve learned goes perfectly with Allume’s blog post for Monday – “Riding Tandem”. I’ve seen directly how my imbalance and life out of God’s word takes my little guy and my husband along for a wobbly, bumpy ride. I’ve been putting myself in the driver’s seat and then wondering why everything goes off the track so badly. When I put myself behind and surrender the control we move along much more smoothly. Does this mean there are no wobbles? Absolutely not! 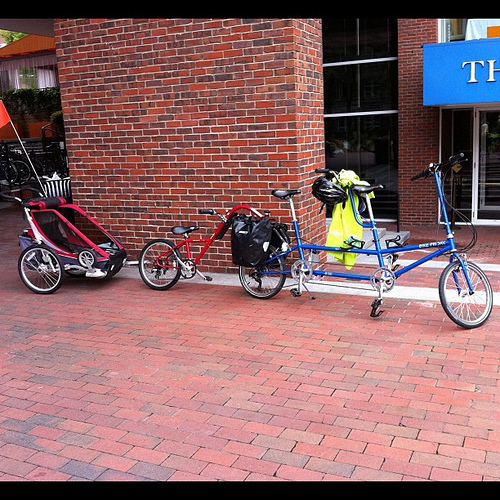 When you have multiple pedalers there will always be jerks and jumps. Learning to compensate and adjust is the trick. So, I’m going to work on getting back in balance and getting my rhythm down. I ask for your prayers. I want to be the most effective tool I can be for the Kingdom of God. Sometimes the tools just need some maintenance. This is what I’m learning now. I have a feeling that this is one of those present perfect participle verbs kind of learning. Thanks for the hugs. Oh, I have so missed your presence! Great to see this post this morning. Love that on this journey of life we are NEVER left alone. Awww, thank you. Thank goodness for not being alone! I pray your medications take effect quickly. I had noticed your absence and did a search to see if you posted about a vacation. I just thought this morning...well dummy, see if she's on the blog and just not at BW? So I'm sad to hear of the sinus infection. They make you feel SOOOO beautiful! When we are plugged into the Word, I've found I hav a lot more grace to deal with those bumps and wobbles!